After several days in the bustling company of thousands of fellow travellers marvelling at Istanbul's Topkapi Palace, Blue Mosque, Hagia Sophia , Grand Bizarre, Spice Market, the Basilica Cistern and the Bosphorus waterway, wandering the village of Ortahisar in Cappadocia region, an hour's flight away, presented a blissful glimpse of slow-lane Turkey. In this hot late afternoon July Friday, under shady shopfront verandahs we find old men seated on traditional ground-hugging carpet stools drinking cay (tea) and playing backgammon, or chatting, and/or smoking cigarettes. All three barber shops are busy. In the village square, a farmer is selling watermelons from his battered workhorse tray truck. Next to it, a small covered truck is selling men's trousers, but there's not much else going on, although shoppers occasionally emerge from two mini marts. A man outside his hardware shop sits talking to a friend, behind them an array of brooms and in front kerbside a neat row of charcoal kebab cookers and shiny cay urns. We exchange smiles. And it's too early for the dozen or so cafes and restaurants to ready themselves for evening trade which will begin in earnest when darkness signals the end of the day's Ramadan fasting. One restaurant wears a neon sign "Local Food" which conjures the BBC League of Gentlemen's Edward and Tubbs in their "local shop for local people". We seem to be the only tourists on the street. Only one trader, who is selling dried fruit, nuts and herbs, bothered to elicit a sale from us, unlike his thousand cousins in big city Istanbul. It worked for him. Of intrigue was the sprinkling of tiny sign-less dingy shops containing a basic office desk and filing cabinet and not much else. We discovered later they were the offices of wholesalers trading produce – lemons and oranges from the Mediterranean region, apples from bordering Nigde province as well as local potatoes, quinces, onions, squash, apricots and peaches – all stored in the natural cool-air caves that are historic landscape attractions of this unique UNESCO-listed patch of Turkey. 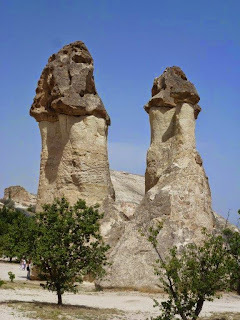 There was an enchanting air of laziness about Ortahisar, one of the neighbouring villages of the town of Goreme (a few minutes' drive away), the tourism hub of Cappadocia's curious eroding terrain of compact volcanic tuff which proved ideal for threatened Christians of the 1st and 2nd centuries AD to carve sheltering caves from invaders. There are remains of underground cities here, a region tracing back to 1800 BC, to the Hittite period. Ortahisar is a town for farmers, and a few tourists. 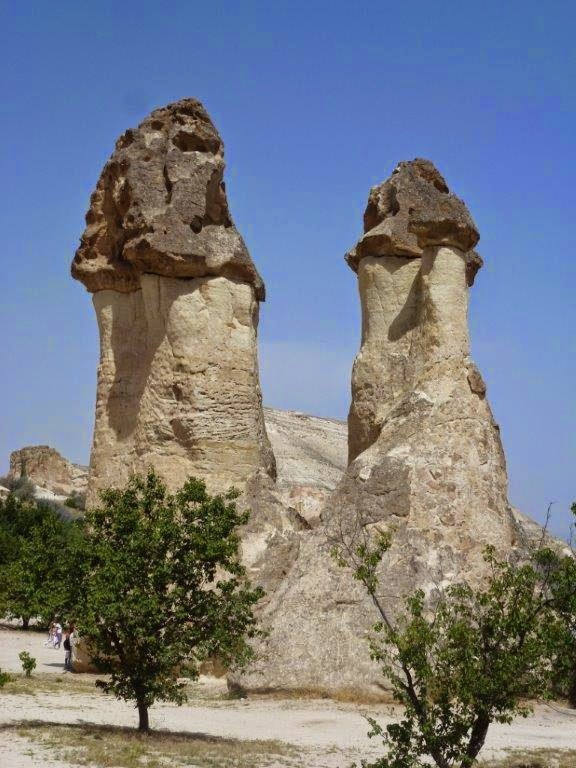 Goreme is a town for tourists and few farmers. Ortahisar means "middle castle" which is in effect the 90m high rock dominating the end of this main street. It is honeycombed with caves and tunnels, camouflaged eons ago by nature without the slightest indication of human presence inside. It has partially crumbled away to reveal some of its interior passageways but has been restored for peak viewing access by stairway. The shops are on a ridge, with houses falling away down the hill each side. Most houses, hotels and pensions have been built on to the face of caves which continue as rooms within. Many caves have no additions and operate as storage areas. Long ago, when no longer used for hiding humans, most caves were closed in to become pigeon coops from which farmers harvested droppings to fertilise their crops. Our home for four nights, Tafoni Cave Hotel, is at the bottom of the castle hill on the sunrise side. It was completed in 2006, offering 13 contemporary roomy suites, all different in format, that have been adapted to caves. The walls and ceilings of some rooms are of original caves. A classy, 4-Star style property, it offers a range of balcony lounges (ideal for a late afternoon cold beer) over four levels as well as a large lawn garden forecourt which is an alternative dining area to the indoor restaurant. Pride of place out front is a well established mulberry tree, the fruit of which produces jam for breakfast. In front of the hotel, village life passes by: a communal running water spout under a large willow provides fresh water to anyone who needs it; clunking old red tractors and small cc motor bikes pass by on their way up the hill opposite to farm plots beyond; a dawdling truck inches its way towards the village, its driver and boy passenger hawking their cargo of potatoes; and a calf on a lead is exercised by its owner who pens the animal in a nearby cave. World traffic balance is restored when an occasional tourist coach makes its way up the same hill for a five-minute view back to us, the castle and village ... and another selfie opportunity. The hotel becomes an ideal away-from-it-all retreat after days occupied by a stunning sunrise hot air balloon ride (80 balloons took off on our ride), visiting the phallic Fairy Chimneys, open air museum and underground cities, walking through Red Valley, visiting a 13th century hotel on the Silk Road, obligatory tours to ceramic and carpet manufacturers and the sensational exfoliation of sun-damaged skin in a Turkish bath in Goreme. The village at evening is even more relaxed. 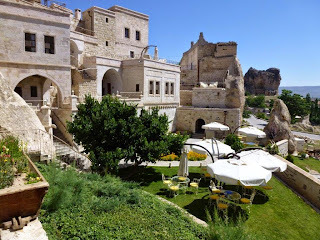 There must have been other travellers staying in Ortahisar's nine cave hotels but none were seen. At the sunset viewing Ortahisar Evi restaurant near the "castle", our host persuades us to try a dish of meat and vegetables cooked in and eaten from a type of mini wok which revealed an amusing aside. Akin to Japan's "just-in-time" supply philosophy, a young staffer sprints away to buy freshly cooked bread and retrieve chicken and lamb from a refrigerator somewhere else. Our host disappears too but returns quickly with a selection of local wine he apparently sourced from his cellar, another cave. 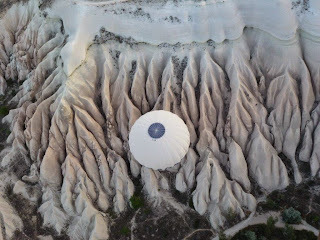 We had experienced Cappadocia from above the ground, under the ground and on the ground. 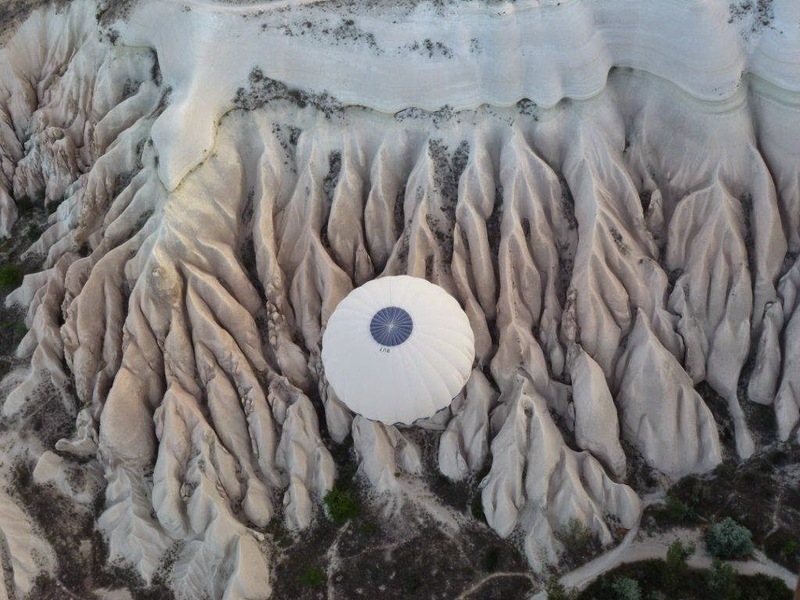 When departing Tafoni Cave Hotel, softly-spoken manager Halit Celik poured water on the pavement behind us, a Turkish tradition signifying a swift and smooth-flowing journey. It was a befitting warm gesture. 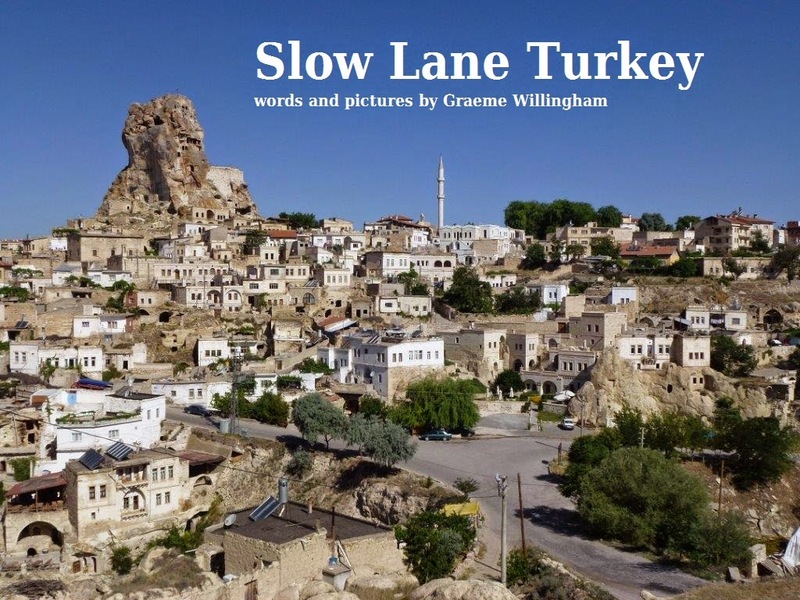 The writer funded his own Turkey travels, organised by Global Travel Services.